Battlefield needs drove the decision to recruit, train and deploy this band of teammates who became friends and, ultimately, family. Special operations leaders believed America would never kill its way to the end of its wars. It needed more knowledge, and the knowledge held by half the population remained out of reach; because of Afghan cultural traditions, women could not and would not speak to male soldiers. All that these women saw, knew and heard remained out of reach. 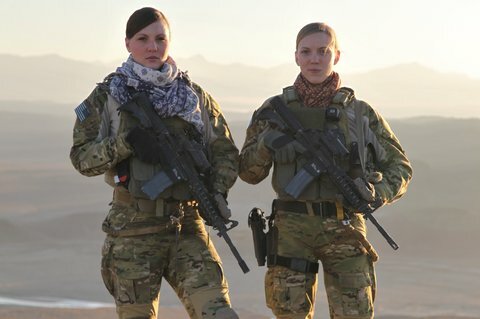 That fact led the head of joint special operations command to request a team of American women soldiers fit and skilled enough to serve alongside his highly trained and tested men. So the call went out and a team of women from across the Army, Guard and Reserve, and some from the Air Force and Navy, answered after a selection process lovingly termed “100 Hours of Hell.” Twenty or so of these women would accompany Rangers, SEALs, and other special ops teams on “direct action” missions, including nighttime raids aimed at keeping pressure on the blossoming insurgency. They boarded the helicopter in the night’s starry blackness every evening like any other member of the team. And on the objective, they would take fire, find people and things and gather information aimed at accomplishing the night’s mission. They served their country and they placed themselves in harm’s way each night. And on Oct. 22, 2011, Lieutenant White was killed in action on a combat operation alongside two Rangers, Sgt. First Class Kristoffer Domeij and Pfc. Christopher Horns. Sergeant Domeij was on his 14th deployment; Lieutenant White and Private Horns on their first. By the time I met them in 2013, Lieutenant White’s teammates had returned from war. They mourned their beloved teammate and they vowed to keep her memory alive. But they also mourned the battlefield camaraderie, the shared experience and the concentrated purpose of serving America on the front lines of its longest war. Their friendship was a living, breathing thing. I saw that immediately as I sat around a kitchen table in Fayetteville, N.C., and watched six or seven of these teammates snack on Triscuits and cheddar cheese and talk about their time in Afghanistan with their Ranger platoons and other special operations units. They finished one another’s sentences, stepped on one another’s jokes and pushed fast forward on each other’s stories. Another team member chimed in and interrupted and I realized only later, when reviewing my notes, that I had to write faster than I normally did because almost no one could finish a sentence without her teammate interrupting to add to the story. “I would stay up every night to make sure all of you guys got back from mission,” another said. It went on like that, that night of conversation and many, many others that followed, with me asking questions of one woman, and her friend and teammate answering with the full story. Frequently they made me laugh, such as when discussing the utility of Spanx (undergarments that the women would wear to make their made-for-men uniforms fit better), the questions they received when traveling together (were they nurses or softball teammates? ), and just how they dealt with using the restroom on missions (there is a device called a Shewee, though few used it). But the one question, aside from Lieutenant White’s legacy, on which each one was eloquent on her own behalf was what it had meant to lose the link to the Rangers and others special operations teams they served alongside. It is not that they won immediate acceptance from the Rangers and SEALs alongside whom they served. 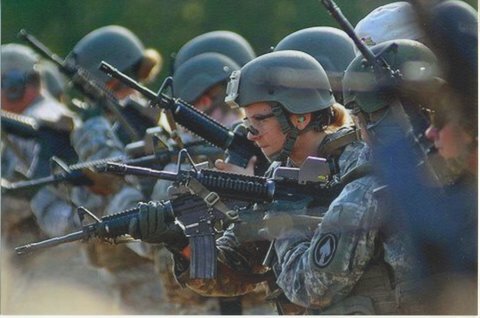 At the outset, skepticism at having to offer up a precious seat on a helicopter to a soldier with a different training cycle, recruiting process and a mere six-week train-up for the mission abounded – especially given that that soldier was female. But these men had adapted repeatedly to the shape-shifting nature of the post-9/11 wars. And by that point in the war, most everyone wanted solutions and battlefield advantage. The cultural support team members understood they would have to earn their place, and all they sought was a fair shot at doing so. That they received. One skeptical team of SEALs expressed doubt about taking its C.S.T. member on a mission, until she found the intelligence item they were looking for to connect an insurgent to recent attacks wrapped up in a baby’s wet diaper. The soldier had helped accomplish the night’s mission and that is what mattered. The rotation was only one year, but it had quite clearly changed the women’s lives forever. It had ushered them into a special operations community in which they would serve on a mission they felt mattered, alongside the best of the best, at the heart of America’s effort in Afghanistan. And then it had sent them back to their regular Army roles once their time was up. That left them only with one another – their memories, their war stories, their battlefield accomplishments – to remind them that their deployment, their time on the frontlines of battle, had actually happened. And from that shared experience of war they had forged a family unto themselves and built a community of friends and sisters stronger than nearly any other tie they had without, at least until that point, anyone noticing. But what these women had done and sacrificed on the battlefield had not gone unnoticed by military leadership. And in June 2013, Lieutenant White and her teammates received a nugget of credit few noted then in a story playing out now. Gayle Tzemach Lemmon is a Senior Fellow at the Council on Foreign Relations. Her most recent book is the New York Times bestseller “Ashley’s War: The Untold Story of a Team of Women Soldiers on the Special Ops Battlefield.” Her writing has appeared in The Atlantic, Newsweek, Foreign Policy, Foreign Affairs, Fast Company and New York Times International, among other outlets, and she is a contributor to Atlantic Media’s Defense One. You can find more of her work at //www.gaylelemmon.com and follow her on Twitter at @gaylelemmon .